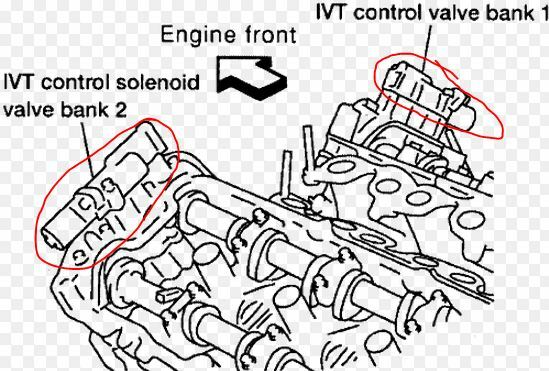 Since the Intake valve timing control solenoid valve uses oil flow to control timing, dirty oil can cause the valve to stuck open or close. Before replacing the valve, change engine oil and filter and reset engine code. If the code comes back you can remove the Intake valve timing control solenoid and clean it with brake cleaner. Help us improve AutoCodes.com. Leave a comment below or tell us if the information above help you fix the code. What are the symptoms on your vehicle for the P0011 2006 Infiniti G35 code? Have you replaced any parts?